Grind and Brew Coffee Makers maximize freshness of your coffee by allowing you to conveniently grind coffee beans just before brewing. Most of the coffee makers with grinders built in are fully programmable as well. You can adjust the strength of the coffee and choose from mild, strong, bold or smooth. You can brew just one cup or the whole carafe. You can also set the time you want it to start brewing automatically in the morning. Some of the best brands are Breville, Cuisinart, Krups and Philips Saeco. We have compiled a selection of the most popular units to help you find the best grind and brew coffee maker for your needs. Breville BDC600XL YouBrew Drip Coffee Maker has an integrated burr grinder and a double wall stainless steel thermal carafe. You can brew from a single cup up to 12 cups of coffee; brew into a cup, travel mug or carafe. It features a LCD display that informs you of the water level, the brewing strength, and allows you to choose the amount of coffee you wish to brew. 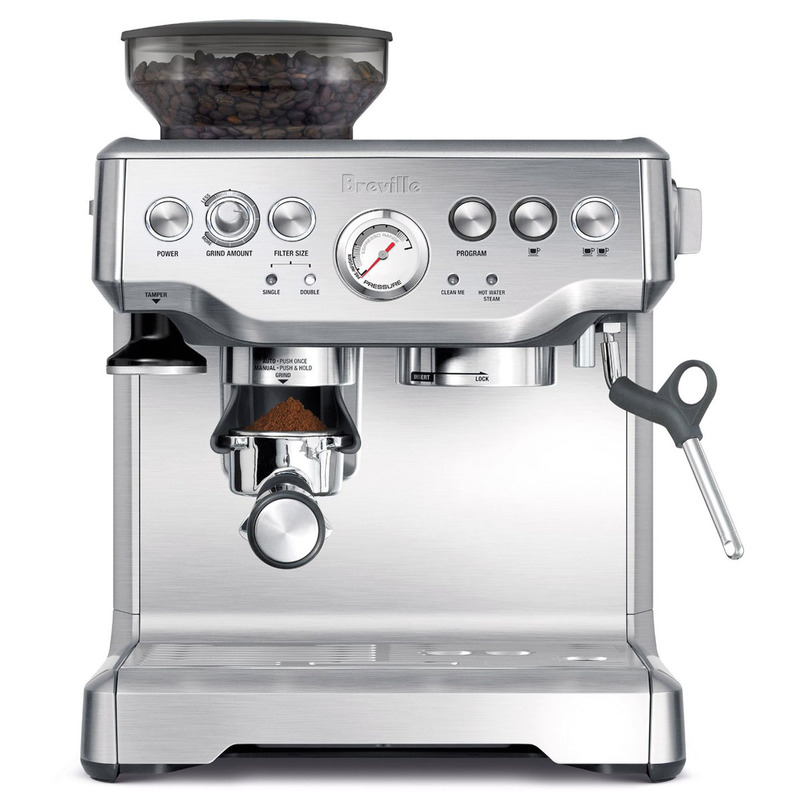 Breville BES870XL Barista Express Espresso Machine with Grinder features 15 bar pump with stainless steel conical burr grinder. Its thermocoil heating system regulates water temperature so that you can brew the perfect espresso every time. The Barista Express offers commercial style portafilter and steam wand for making gourmet-quality espresso and cappuccino. Cuisinart DGB-650BC 10-Cup Automatic Grind and Brew is a fully programmable coffee maker that is very easy to use. It has a 10-cup glass carafe and a built-in bean grinder. The LED indicator lets you program the unit to turn on and turn off whenever you want.